Kazuo Ishiguro’s The Buried Giant was one of my most anticipated releases of 2015; although the mixed reviews it’s been getting had me wondering whether I should try to lower my expectations somewhat, the author event I went to last week makes me think I’m likely to really enjoy it after all. Ishiguro did a short reading and a talk at a packed venue (the same place where I saw Terry Pratchett in late 2012, sob). The narrative voice in the excerpt he read was absolutely wonderful and grabbed my attention straight away — I suspect if nothing else I’d enjoy The Buried Giant for that alone, but what he went on to say during his talk suggests there’s plenty more to appreciate about it. Ishiguro began by telling us that his novel is set in the period between 410 and 490 AD, after the Romans left Britain, and that this is a period he’s drawn to because of the many unknowns that surround it. He then said that to discuss the themes of The Buried Giant, he’d have to talk a little bit about his life: his age means that he spend his first few decades as an adult “in the shadow of the cold war”, and immersed in the sense that a worldwide cataclysm was imminent. Additionally, he was born in Nagasaki less than a decade after the atomic bomb was dropped. Ishiguro said that when he watched the Fall of the Berlin Wall in the news in 1989, it seemed to promise the dawn of a “beautiful new age” of peace and cooperation. But of course the world has seen plenty of atrocities since then — within only a few years there was the dissolution of Yugoslavia and the horrors that followed, the genocide in Rwanda, etc. All of this got him interested in societal memory and how it can be used to mobilise hatred and violence. So he decided to write a novel about “how countries remember and forget”, and about how people in power attempt to dig up and manipulate certain memories for their own ends. 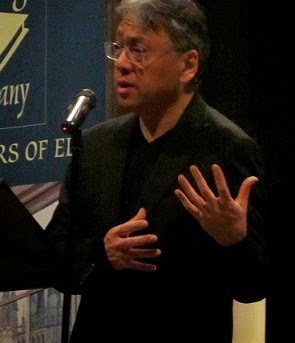 Much of Ishiguro’s work is about the dynamics of when it’s better to remember and when it might be better to forget, but up until now it had been applied to individuals. When he started The Buried Giant, he very much wanted to write about that same question and struggle, which he’s come to think of as his main theme, but applied to a community or country. The novel, then, examines the circumstances in which people might decide to bury collective memories. Ishiguro clarified that he’s interested in exploring these questions, rather than in taking a definitive stance about if, when or how such memories can or should be faced. The Buried Giant, then, is much more about questions than it is about answers. He also talked about how he doesn’t necessarily see himself as a historical novelist who sets out to document the past with accuracy. When he was writing this novel he was mainly interested in teasing out recurrent patterns throughout history, which is partially what led him to a quasi-mythical setting that he feels would lend itself to that approach. There are echoes of contemporary situations in The Buried Giant, but the decision not to focus on any of them specifically was deliberate. 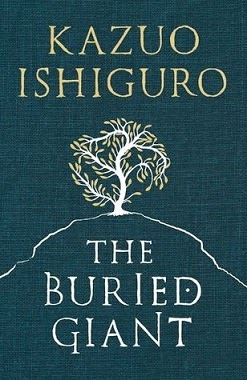 The Buried Giant, Ishiguro said, is also a love story. He wanted to write a romance that wasn’t a courtship story, even though there are many such stories that he loves. But he was especially interested in focusing on what happens after people come together; in long-term intimacy and how you fight to keep it alive year after year (at this point I was going YES, YES, YES! in my head — I’ve talked about how I want to see more of this many times). He wanted to write a love story that explored that, and also a story about the role of shared memory in a long-term relationship. In The Buried Giant, those same societal questions of memory he discussed previously also apply on a more personal level. A society in which people decide to forget recent atrocities in an attempt to live together in peace is also one where a lot of people’s shared traumatic experiences become buried and off-limits. What kind of an impact does this have on their relationship? Do they want to remember the dark things they’ve put aside regardless of the cost? Are they willing to pay the price that forgetting also has? Ishiguro briefly discussed the “But is it genre?” questions surrounding The Buried Giant, but I confess I didn’t take a lot of notes during this part because the subject makes me sad and exhausted (this is an expression of a personal feeling, rather than any sort of indictment on anyone who might be interested in discussing it). The gist of what he said, though, is that he feels that the boundaries between genres are crumbling, and he sees this as a good thing. My recap is partial as always, but the last thing I made a note of were Ishiguro’s remarks about the endings of his novels: he favours endings dominated by a “complicated and earned emotion”, which readers slowly arrive at throughout the novel and that culminates in the final scene. He values reading and writing because it’s something that offers “a deeply private space” in which to explore various questions about the process of being human, and to him this makes reading primarily an emotional experience. This doesn’t mean it isn’t also an intellectual experience, but to him the “essence of fiction” is this sort of human exchange. Through fiction you get to inhabit a character’s consciousness and to experience what living their lives feels like for them, and that’s a powerful thing. Damn, how I love it when you write about authors events! It nearly makes me feel like I got to hear said author, without the anxiety that comes with having to be in a room full of other people. And you've totally convinced me that I should add this to my TBR list, something I doubt I would have done otherwise as the setting so far back in time sort of intimidates me (you know me, intimidated by the silliest things). Although I didn't like (and couldn't finish) the only other book of his I tried, I have high hopes for this one. 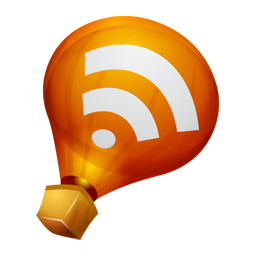 I loved this detailed recap ... like Debi said, it made me feel as if I were there. Which one was that? I've loved everything oh his I've tried so far, which no doubt contributes to my high expectations! wow. What an awesome experience. I would think that this talk would enhance the reading experience of his book. It certainly makes me more interested in reading The Buried Giant. Yes - I'm so glad I got the chance to go! I think Ishiguro is a bit like Arcade Fire. If you expect the same thing each time you'll be disappointed. Expect awesomeness that looks vastly different each time and you're golden. Ha - love the comparison! He said at the event that before he was a novelist he tried to be a singer/songwriter, which I had no idea about (and found pretty cool). The reviews have been SO mixed. I don't know what to expect. I am really intrigued by the themes Ishiguro's said he's exploring, and I love it that he believes the genre walls are crumbling and it's good for literature (I agree!). And on the other hand, a lot of reviewers have said that this story is too opaque, that there's no way in to these characters. I just don't know what to expect. And it's a very huge book to commit to without knowing what to expect. Hey, I know what. You can read it first! And then just let me know. If it's worthwhile. I did! The fact that he said he could admire it but not love it made me wary, because it sounds like he felt emotionally distant from the story. The other Ishiguro novels I've read pretty much punched me in the heart, so I don't want to end up feeling unmoved by this one. We shall see. How wonderful you got to hear him speak. I been getting down about the mixed reviews, mixed, mostly not good really. I am glad to hear these things, gives me hope! It gives me hope too! Fingers crossed that we both like it.